Taste test: These just might be the best salt and pepper chips ever. 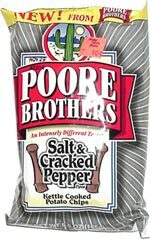 They've got the great crunch of a kettle-cooked chip, and lots and lots and lots of great pepper taste. The pepper is intense enough to be quite tasty, but not so peppery as to make your eyes water. 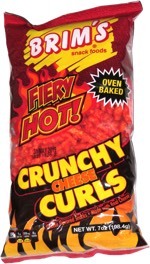 You don't really notice the salt on these, but that's probably because the pepper's just do darned good. Smell test: Nice black peppery smell, like fresh ground pepper.